Hey guys! I’m going to get right to it, as I have an early morning flight and I still have to finish packing! 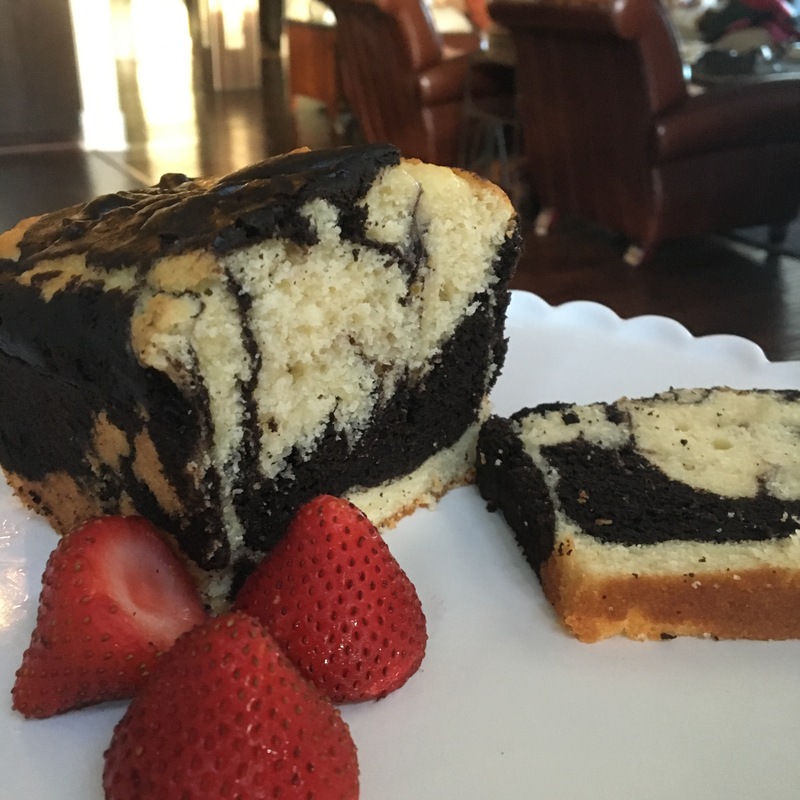 This cake is delicious- it was gone within two days around my house. Preheat the oven to 350 degrees and grease and flour a loaf pan. Mix together your vinegar and milk. Set aside. Start by sifting together the baking powder, salt, flour, and cornstarch. Set aside. Stir in the extracts and the eggs (one at a time). Alternately add the flour and sour milk to the mixture, starting and ending with the dry mix. Separate out one third of the dough and add the cocoa powder and 1/4 hot water to this portion. Mix until smooth. 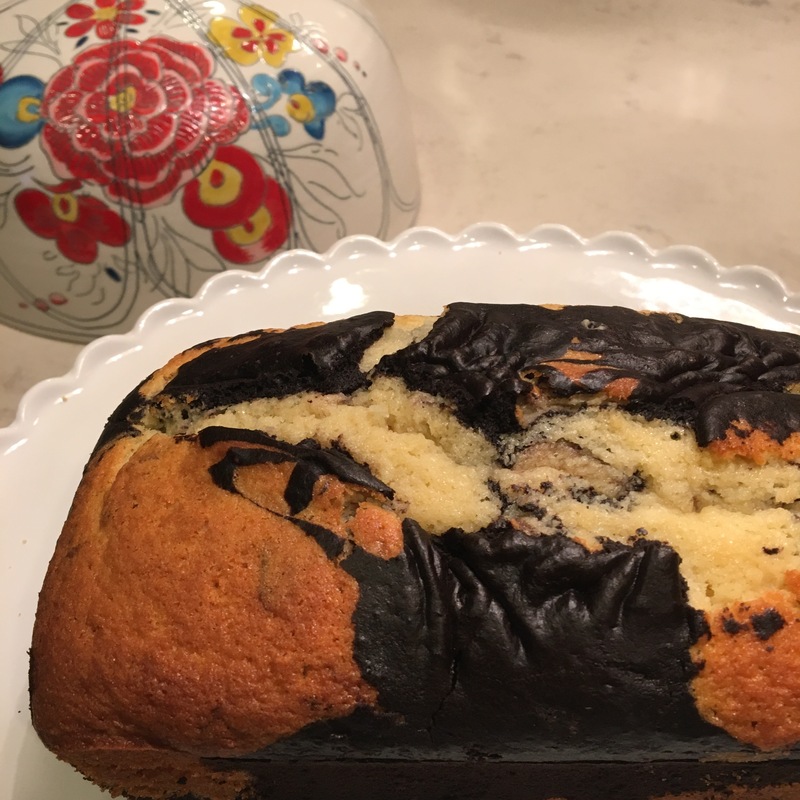 Using the chocolate and vanilla doughs alternately, form a checkerboard pattern in your loaf pan, reversing the pattern for a second layer. Use a toothpick to swirl through the various layers and create the marbled effect.